The world of sport fishing gathered in Orlando this past July for ICAST 2018.. The show was full of exciting new gear related to our industry including new kayaks, and rod/reel technology from some of our favorite brands, such as Old Town, Bonafide, and Shimano. Stay on the look out for more content on these innovative new products! 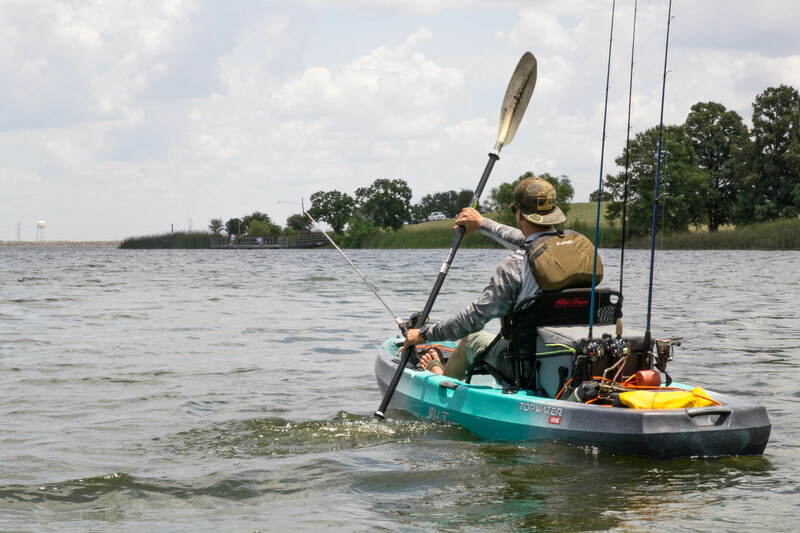 When it comes to kayak fishing, our customers take their rigs very seriously. Each angler has a unique set up, catered to their personal style of fishing. Our Adventure Collector is a great way for customers to share their experiences with us. We love seeing how we have helped 'Outfit Your Adventure'. Check out our favorite submissions from December! The first Friday of each month, Old Town's Facebook releases a new video discussing a different topic. In May's video, Keith covers how to catch monster bass during the spawn and top tackle recommendations. Go ahead and give the Old Town FB page a like if you haven't already, and follow along! I had an itch to fish and I scratched it. Ever wondered exactly how a camo boat gets its coloring? It's a bit painful to admit, but summer is really over. It was cold this morning (only in Texas would 68° be considered cold) and while that may have some thinking it's time to retire the kayaks for the season, this is not at all the case!